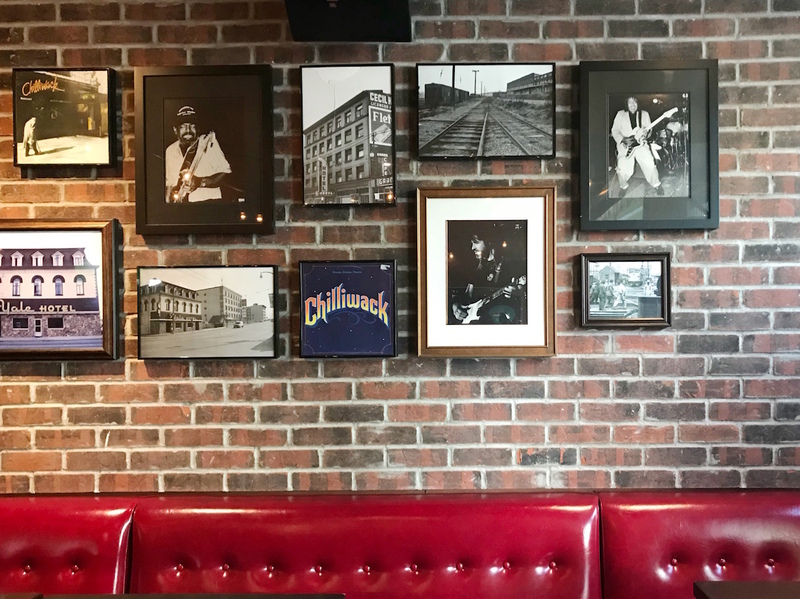 Since The Yale Saloon re-opened in Downtown Vancouver two years ago, its unofficial slogan has been “come for dinner, and stay for the party”. They have Canada’s largest meat smoker, and use it to slow-cook Southern style BBQ meats like pulled pork, brisket, ribs and sausage. Their latest ambition is to be more than just a party hotspot by expanding into Sunday brunch with a small, BBQ-centric menu of five dishes. The style of food is hearty, meat-heavy hangover food, but what sets The Yale Saloon apart from a greasy-spoon diner is its quality of ingredients. Just like their dinner menu, all meat is sustainably sourced through Two Rivers meat, with eggs from Rabbit River. 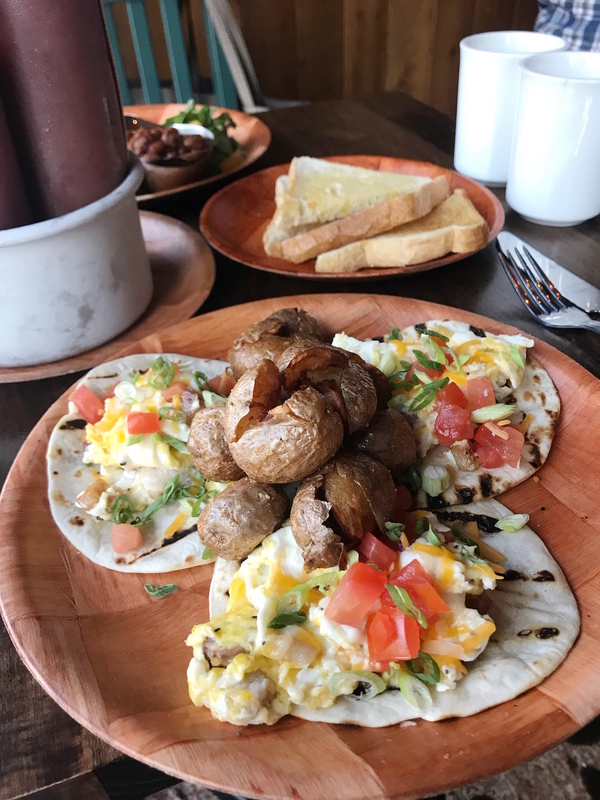 At brunch this weekend, we had the Bluegrass Breakfast ($15) – a brunch platter of eggs, sausage or house-smoked bacon, greens, toast, and potatoes, and the trio of Breakfast Tacos ($15) served on flour tortillas. The generous side of potatoes which came with the savoury meals are smashed and deep fried. Sauces on the table – ketchup and BBQ – are also both made in-house. The only sweet item on the brunch menu is the Sweet Texas Toast ($13), topped with bourbon soaked berries and house-made whipped cream. Dishes are served on woven wood plates to give the feel of a rustic picnic. 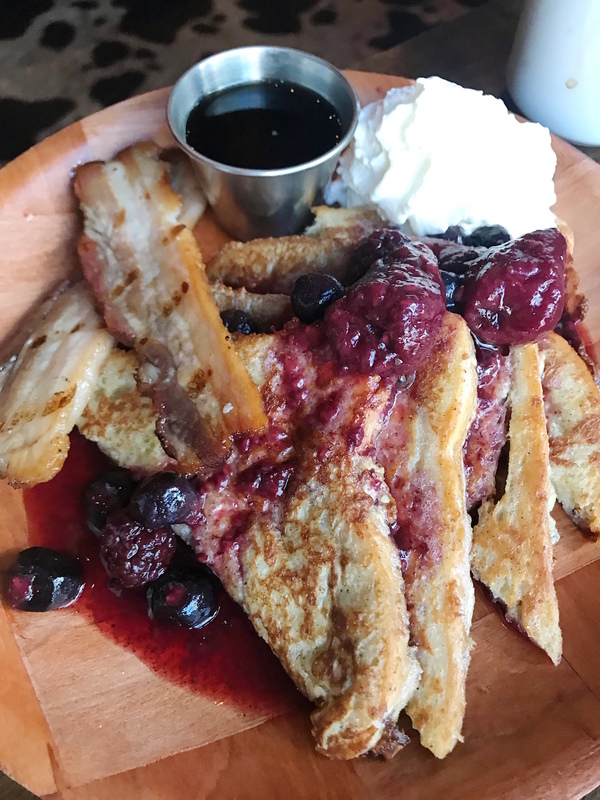 Given that The Yale Saloon is known for its nightlife, its brunch offerings have a surprising attention to quality and detail with its house-made items. 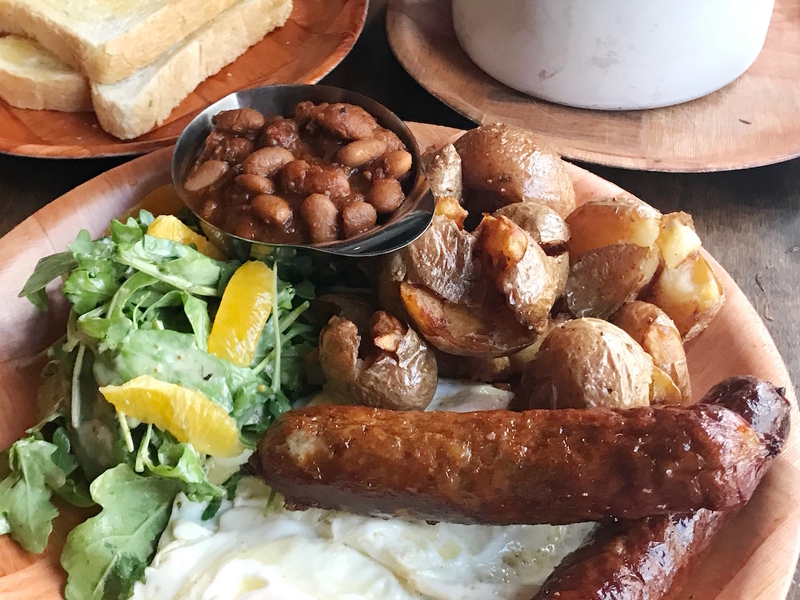 If you’re looking for a hearty meal, and you’re not afraid of meat and grease, The Yale Saloon is the right brunch spot for you! 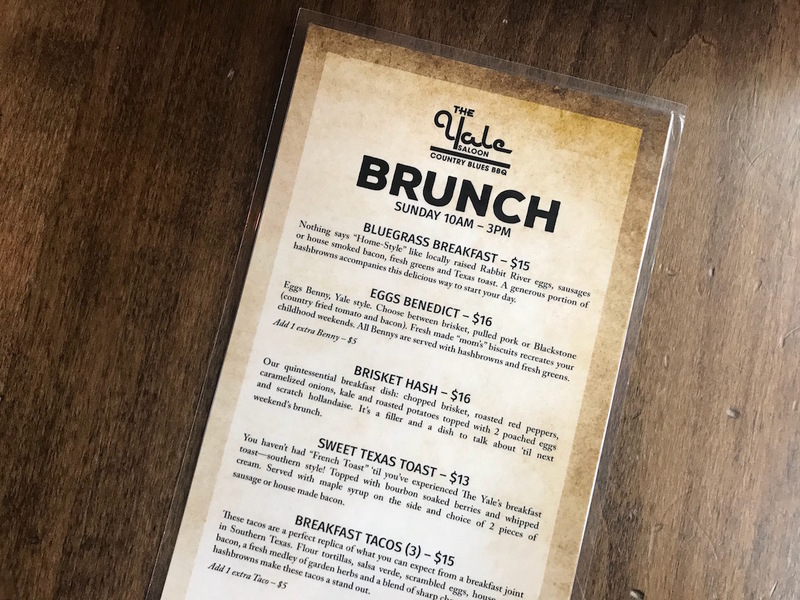 Brunch is served Sunday from 10am to 3pm at The Yale Saloon. For more information, visit: yalesaloon.com or visit them in person at 1300 Granville Street.